Plan your vegetable garden according to what your neighbours are planting so you can share your vegetables when they’re ready for eating. Often I’ve had too many of one kind of vegetable I couldn’t give away because my friend’s were ripe at the same time. These days we get together and plan our planting program so we all know what everyone is planting. We then plant enough for our families and a few extra to share. 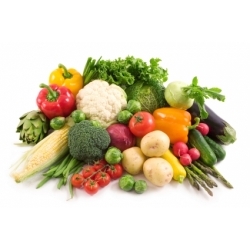 We all have a plentiful supply of fresh vegetables and save money, time and energy too.